Back in her daycare days my wife went shopping and picked up some new dishes for the kiddos. They were pretty nifty bowls with straws attached to them – handy for cereal or soup and such. I noticed that she had bought 4 of them, 3 of them red and one of them orange. Thinking I know anything about kids, my first thought was that they would all fight over the orange bowl. Gina corrected me and said that they would all want the same color as the others and that the orange bowl would always be the last one chosen. I didn’t understand that. 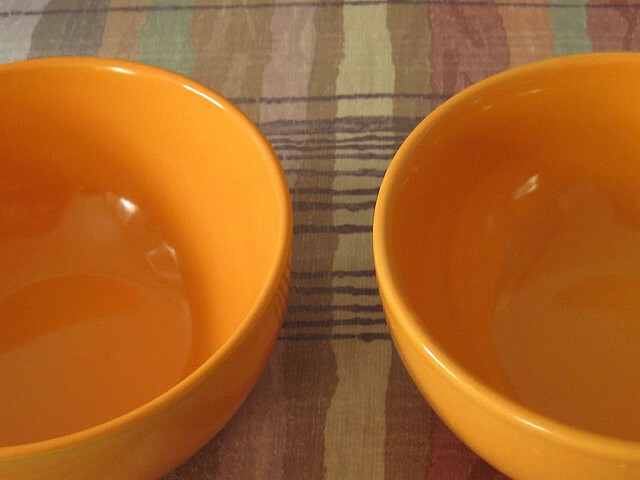 Me, I get tired of seeing the red bowl, everyone wants the red bowl, and because everyone is using the red bowl, no one bothers to look at the orange bowl. The orange bowl may be even better than the red bowl but we’ve been told to listen to, watch, buy or use, the red bowl so that must be the better one. Given the choice, I’ll usually always pick the orange bowl – I guess I’m just an orange bowl kind of guy.